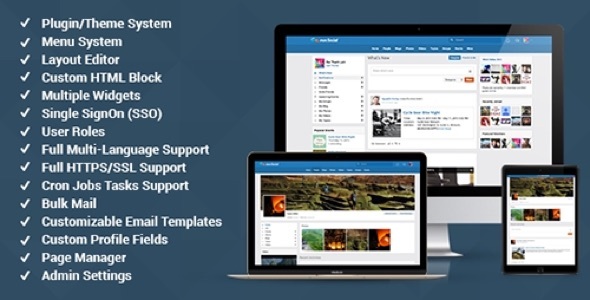 The best social network software to create an online community or social site. Start your site in minutes. It is easy to use even without design or programing skills. php social network software built using CakePHP.It is light, fast, easy to customize, and mobile-friendly. Soyez le premier à laisser votre avis sur “PHP Social Network – CakePHP” Annuler la réponse.